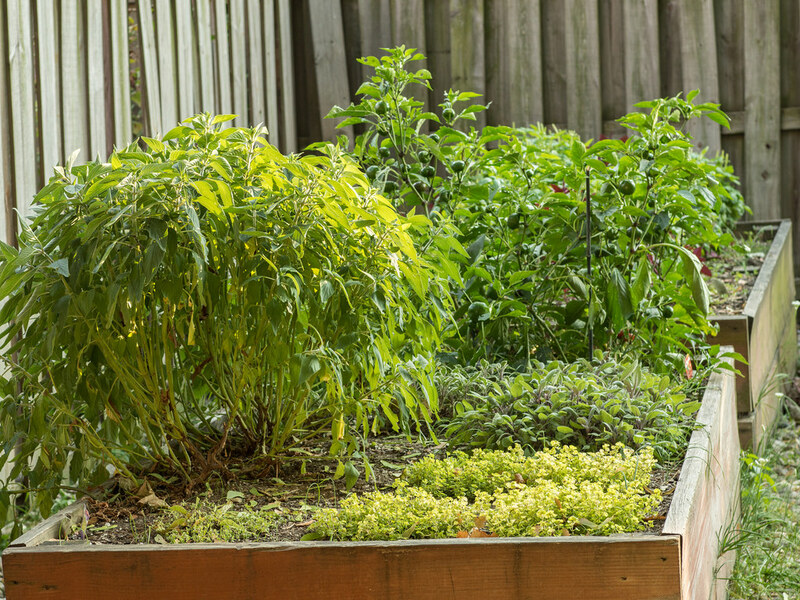 Starting an herb garden in your own home is easier than once thought. Having fresh herbs to use will greatly improve the health and taste of all dishes. Using fresh herbs is a great way to add flavor to your cooking at home, but there are also many health benefits. Using fresh herbs usually helps with cutting down on sodium intake. Excessive sodium intake can be dangerous to your health, even if you do not have cardiovascular disease. Too much sodium, or salt, can lead to high blood pressure, stroke, and other chronic diseases. By replacing salt with fresh herbs, you are reducing your risk. By simply using herbs to season dishes, you are adding various nutrients to your food as well. Herbs are a great source of vitamins A, C, E, and K. Many herbs also act as antioxidants and have anti-inflammatory properties. Choose a space near your kitchen. Prepare the space by loosening the soil. Dig holes as appropriate to each herb. Water as indicated by the individual herb. Thyme 6”-8” Sun, part shade Well-drained 14-21 days 13-14 weeks. For more fun and interesting articles check out the Fill Your Plate blog, where new articles are posted every week. This entry was posted in Arizona, Cooking, Diet Tips, Fill Your Plate, Food, Gardening, Grocery, Health Tips, Healthy Eating, Planting, Produce, Recipes and tagged Fun, Garden, Health, herbs, Kitchen, Spice. Bookmark the permalink.